I do all sorts of photography, but this page will focus on product photography. Each company has a different idea of how they want their products to look. In my experience successful product images generally fall into two categories, “clean” and “dirty.” High quality equipment always helps, but is no substitute for proper fundamentals and careful execution of the image. Food should always be clean and bright, with colors that are vibrant without being unrealistic. A short depth of field can be helpful to hide imperfections and force the eye to go where you want it. However, the area you have chosen to be in focus should be flawless. 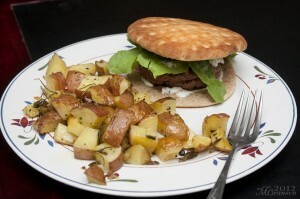 Taking good photos of food is notoriously difficult but honestly doesn’t require a ton of fancy gear. This Greek-style burger with a side of potatoes was taken from a simple tripod using a bounce flash, sitting on my dinner table right before I ate it. Clean and bright are the keys to food that the viewer will want to eat. Imaginative product photography tells a story or explains something beyond the appearance of the product itself. 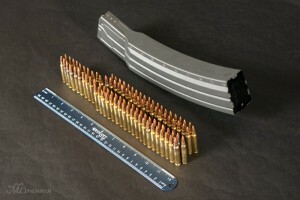 Here we have a very high capacity AR-15 magazine produced by the SureFire company. I have laid out 100 rounds of the correct ammunition alongside the magazine, in a configuration which mimics how the cartridges are arranged inside. A ruler sits alongside to give scale. This image was only one of a series showing various details of this new product. When a product is new, people want to see its details and learn about it, and the “clean” aesthetic is usually the best choice. 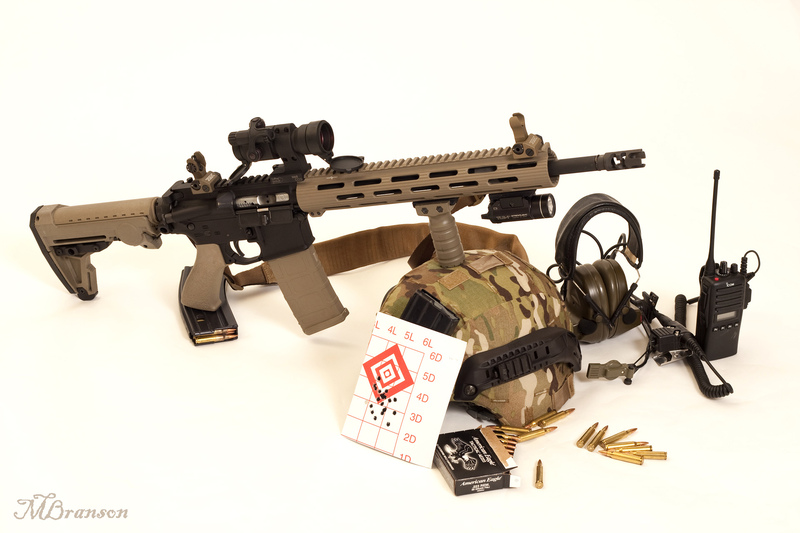 How 100 rounds of ammunition fits in a box magazine. I believe product photography should have depth. A two-dimensional “blueprint drawing” presentation is as bad for a product as a straight on “mugshot” look would be for a beautiful model. A good product image should make the viewer want to step into the photo and physically grab the product. A three-dimensional sense of foreground and background helps accomplish that, even with a “clean” image showing a high amount of detail and using a seamless white background. The accouterments around this AR-15 rifle give it a sense of reality, as though the viewer can reach out and grab it. Some products don’t need a “clean” approach because they are already well known. Here is a Porsche 911, an iconic car whose shape is familiar to any motorhead. There are plenty of clean photos of every detail available, so this “dirty” photo intends to convey a feeling of speed and power. The car is a body in motion driving quite literally into the sunset. The Porsche logo is noticeable, yet subtle and seems partially obscured by the blurred background as it zooms by. The car is not even fully in focus, as if it sped by at such a pace that the camera couldn’t catch it. Selective color takes the place of focus, drawing the viewer’s eye to those stark red taillights. In this case, we are reinforcing what the viewer already knows or suspects about the joys of owning a Porsche automobile, so the emotion of the image outweighs the need for pinpoint detail. A good product image should tell a story. 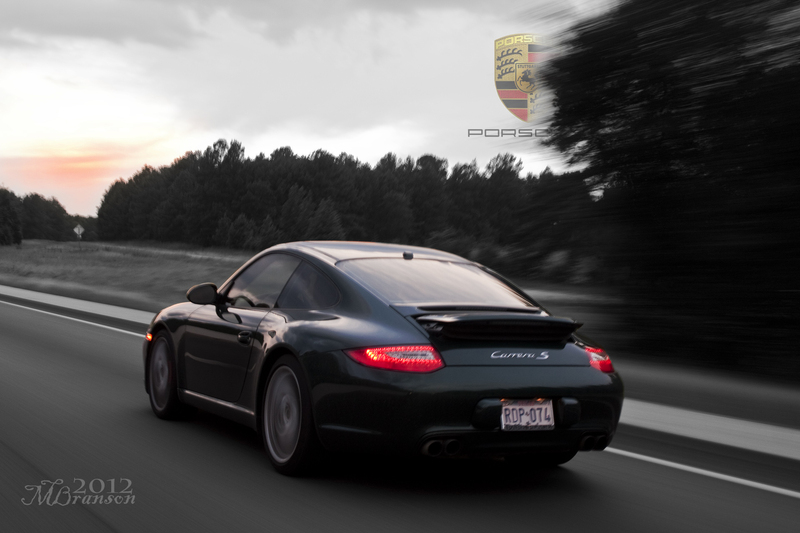 You can almost hear the engine rev as the Carrera S blows past.